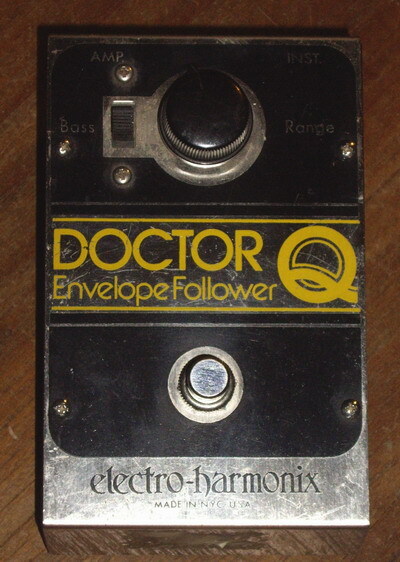 The Electro-Harmonix Doctor Q Envelope Follower gives tones similar to an auto-wah pedal, but crucially the musician controls the amount of wah effect by his/her playing dynamics. 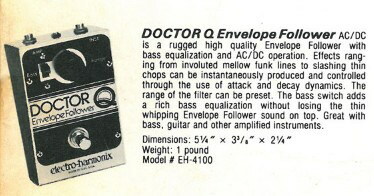 In other words, notes picked or strummed hard will exhibit more wah than notes sounded softly. 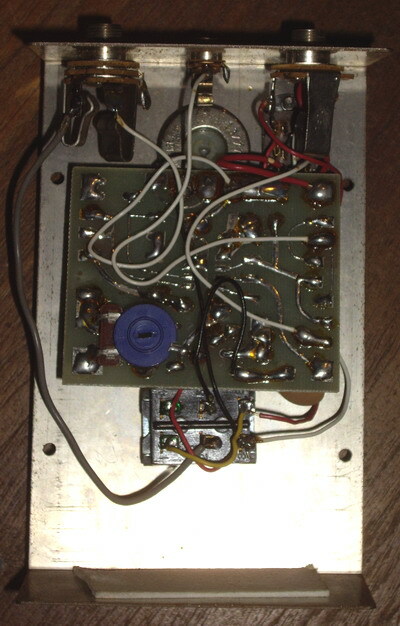 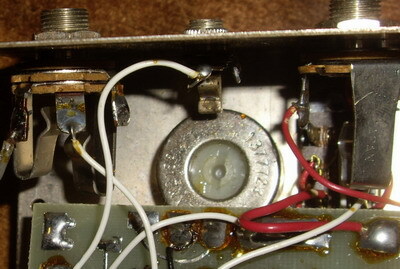 The controls on the pedal are a Range control, which governs the scope of the wah effect, and a Bass switch which modifies the EQ of the signal, and makes the effect more usable for bass players. 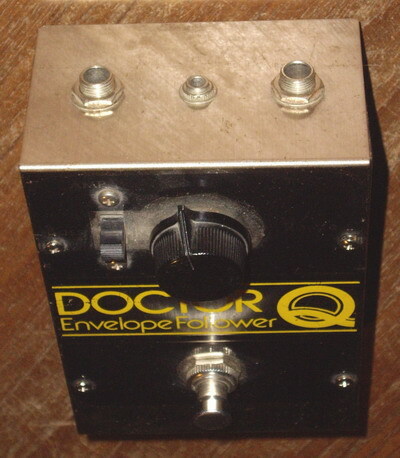 If you like clean tones, try one of these on your pedalboard to add easily controlled colour to your sound.